In Spring 2016, I wrote how you should take The Model-Based Definition Ski Challenge. Well, in late December, I started up the 2016-17 ski season with my family amongst fresh powder and all new ski gear… and it was all about regaining our ski groove. Getting into the CAD groove is much like finding your ski groove. Learn from my skiing and CAD experiences. What's different? Age, jacket color, equipment, fresher powder. But, there continued to be whining, and more whining – this hurts and that hurts – but finally he was doing the best skiing he’s ever done. Why the whining? Well, other than being 12, last year’s new boots were now too tight. Plus, they were crummy “kid” boots, and by the way, the skis were too short. So, back we went to the ski shop to find “adult” boots to match his performance level and size. Two boot iterations later, we have success – still a little pain (ski boots are just not a comfort fit), but tolerable and resulted in a major increase in foot performance and leg movement resulting in better ski movement. Now, he skis the mountain, rather than the mountain skiing him. You probably feel this way sometimes when using any CAD system: the CAD system is driving you, rather than you driving the CAD system. You will whine about new CAD systems, and whine some more – it’s just the human way, but soon enough you will find your groove. When changing CAD tools or learning a new skill, such as model-based definition (MBD), we often have to regain our groove. New boots: Ouch! They take some getting used to. With higher performance comes a steeper learning curve but also a better return on investment (ROI). New skis: They’re longer because you are bigger, so the sense of body positioning (known as proprioception)must adjust. 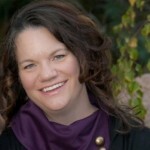 Desiring bigger business and higher ROI requires adjustments. Different clothes: New jacket and pants instead of a onesie. How you put them on is different than last year, but they function all the same, like working with different CAD file formats. 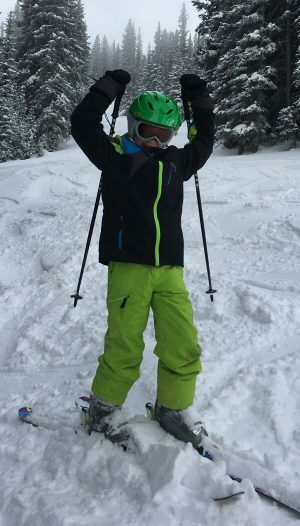 Ski lessons: Though already a great skier, regular training keeps tuning up his capabilities. Kid = Engineer: I want new tools! How come you won’t train me? Can we take a break now? This is hard! Mom = Procurement: She’s in charge of making purchases to the Manager’s and Engineer’s specifications, but the new equipment better be available from certain suppliers. Only the right parts will do. And don’t spend too much. Some businesses may have the benefit of Procurement, really understanding the Engineer’s needs (what the kid needs for new equipment), but most do not. The purchasing organization is never brought into CAD decisions, yet it’s a key organization for preventing inefficient flow from Engineer to Supplier. I, Mom, happen to be an experienced Procurement organization. I learned to ski in my 20s and have incrementally upgraded my equipment over the years. As my skiing capability and maturity increases, so does the justification of better ski equipment. Sound familiar? The MBD ski challenge article encouraged you to keep three culture and training challenges in mind. They still hold true during this ski season as well. The fear of change is killing us – get over it. Skill is required – learn the ropes. Stamina is needed to have a really great day. Keep doing those wall sits and lunges! Enjoy that fresh powder as you regain your groove!